Welcome to "Guadalupe River Rainbow Trout Fishing". Our intent is to post fishing information, reports, and other things of interest from area fishermen who have fished the Guadalupe River! Our hopes are that others can use this information when planning a trip to the Guadalupe River! Before you go to the Guadalupe River, be sure to checkout Texas Parks and Wildlife's Video about Rainbow Trout Fishing! 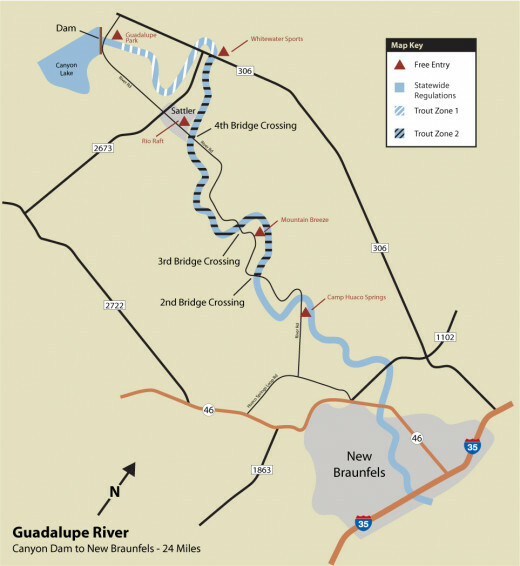 Here is a link (Guadalupe River Trout Fishing) to directions and a map posted by Texas Parks and Wildlife that shows Rainbow Trout Stocking Locations and suggested access points to the river! Check it out when you get a chance. 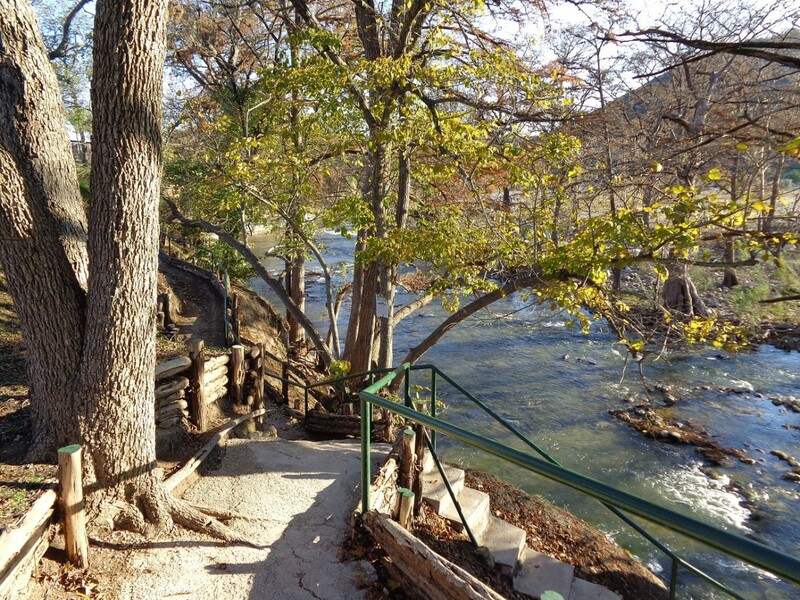 * December 5, 2014 – March 5, 2015: Texas Parks and Wildlife Department has signed temporary lease agreements with Mountain Breeze Campground, Rio Raft and Resort, and Whitewater Sports. 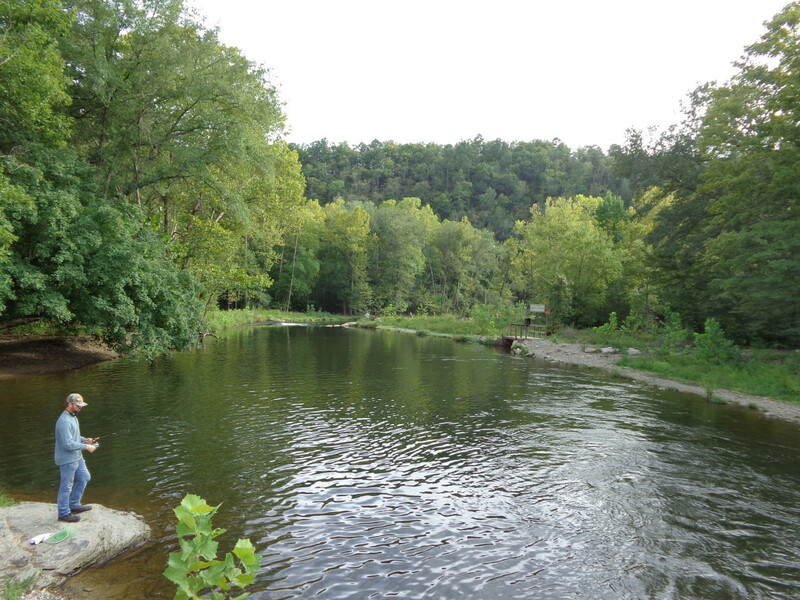 Anglers have free access to the river from 30 minutes before daylight until 30 minutes after dusk. They may use the properties for bank fishing and to launch non-motorized watercraft such as rafts, kayaks and canoes for the purpose of fishing. These leases were made possible with grant funding provided by the U.S. Department of Agriculture’s Voluntary Public Access and Habitat Incentive Program. * December 5, 2014 – February 8, 2014: Free fishing access will be available during trout stocking season at Camp Huaco Springs. Do check out the first of a series articles about suggested areas to fish - "Guadalupe River by Camp Huaco Springs: Suggested Areas for Rainbow Trout Fishing". It provides suggestions and tips when fishing Camp Huaco Springs. Also, your Texas Freshwater Fishing License allows you free day use access at Camp Huaco Springs! 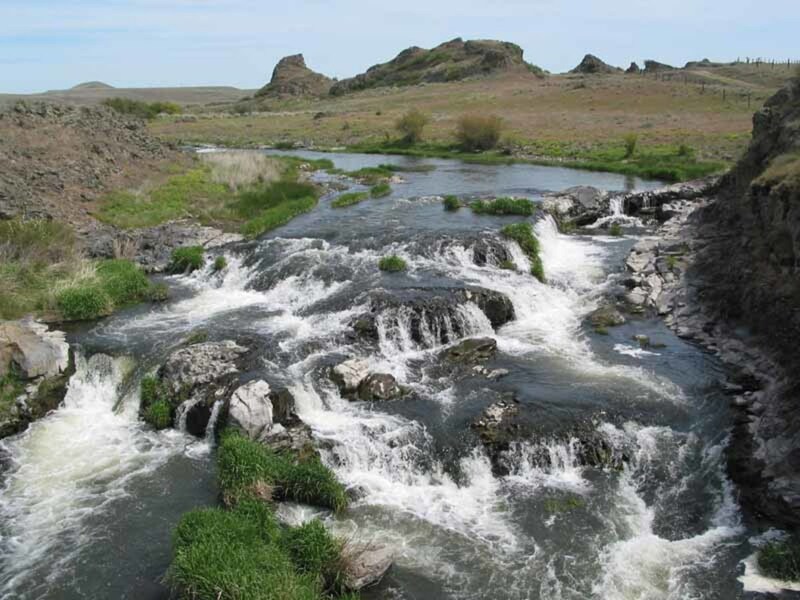 Second article in the series for suggested areas to fish is "Guadalupe River by Rio Raft Company: Suggested Areas for Rainbow Trout Fishing". Also known as Rio Raft and Resort. It provides suggestions and tips when fishing Rio Raft and Resort. Do note that Rio Raft and Resort resides in Zone 2 of the Special Regulations Zone. 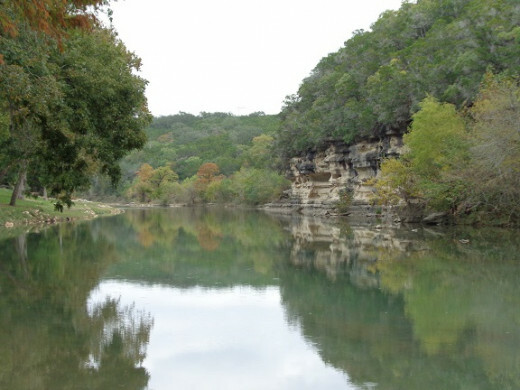 Also, your Texas Freshwater Fishing License allows you free day use access to Rio Raft and Resort! 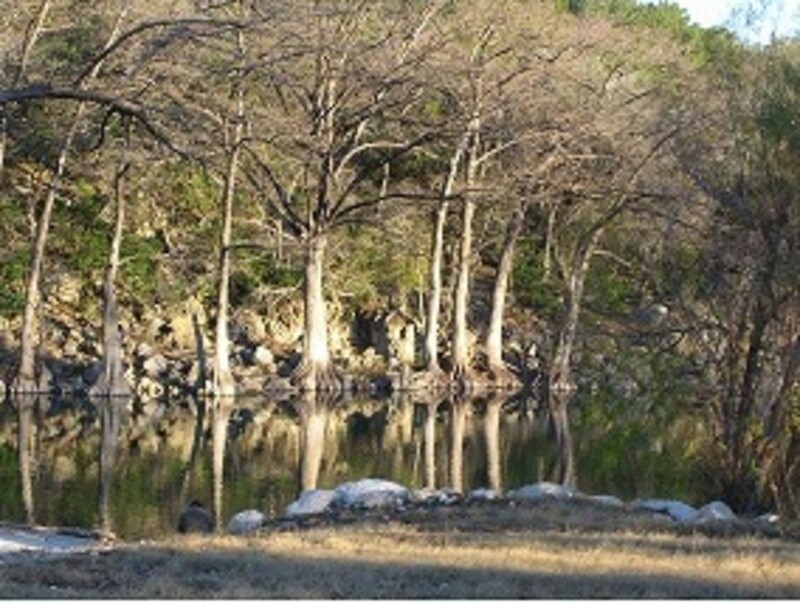 Last article in the series for suggested areas to fish is "Guadalupe River by Lazy L&L Campground: Rainbow Trout Fishing". More suggestions and tips to help fishermen interested in Rainbow Trout Fishing on the Guadalupe River. A day use fee is required to fish Lazy L&L and the area resides in Zone 2, so Special Regulations apply when Trout Fishing. The Guadalupana fishing fly is a versatile pattern that originated on the Guadalupe River in Texas. It was developed by a local fisherman to target Rainbow Trout as well as Bass. A variant of the fishing fly is the COAF Guadalupana Fishing Fly. 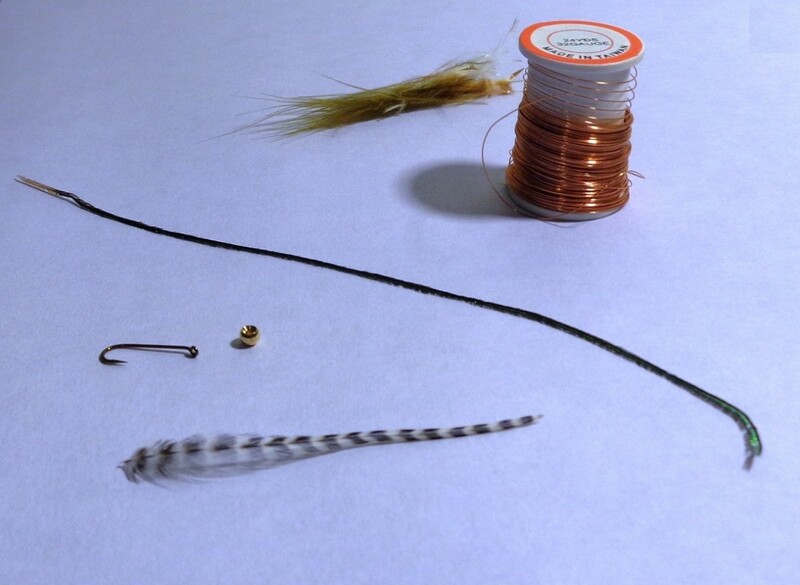 It is similar to the original pattern except it uses a smaller streamer hook and a grizzly hackle instead of an olive hackle. 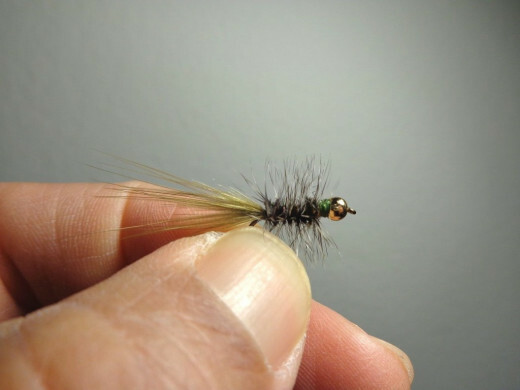 For more on tying the variant, check out the article, COAF Guadalupana Fishing Fly (at http://hbng84.hubpages.com/hub/Guadalupana-Fishing-Fly). 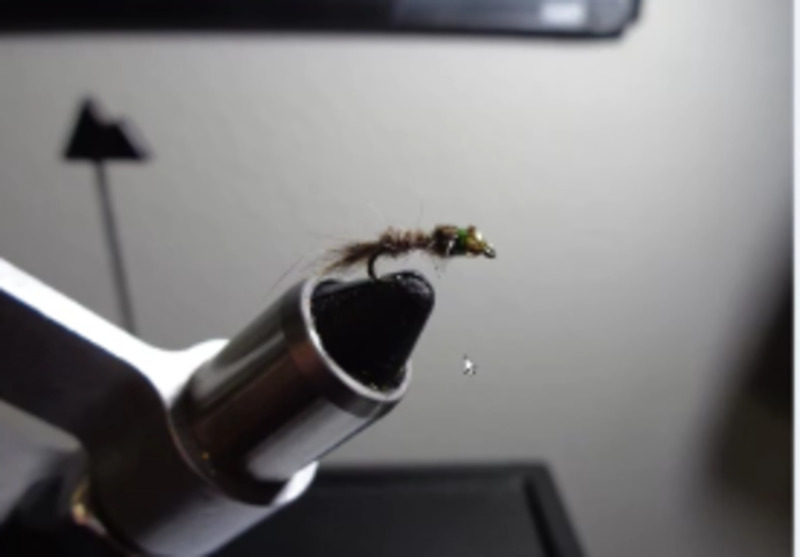 A variation of a productive fishing fly tied on a small jig called the Near Deere. 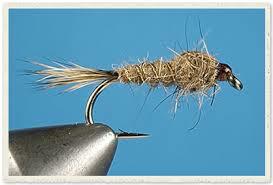 This one uses Olive Marabou for the tail and Brown Flash Chenille for the body. It is a simple pattern that has been a consistent producer of Trout as well as other fish in our area! 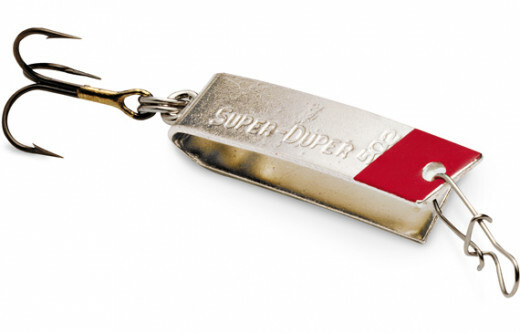 Do keep this one in your fly box! Overall, Power Bait has been the consistent producer of Trout as noted in a field study conducted by the COAF Field Team. As a general rule, it is strongly suggested to keep a jar at the ready when fishing with bait on the Guadalupe River. A few videos posted on YouTube that show Rainbow Trout being caught on the Guadalupe River! A lot of action with some nice Bruisers being caught and released! 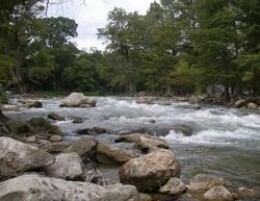 Do check them out to get a feel for how to fish the Guadalupe River! Fished the Guadalupe River at Huaco Springs. Great day, great temps, even slipped and fell into the river while wading. But, was able to keep fishing until a limit was taken! Fished the Guadalupe River at the Rio Raft access point. Really nice day, saw several Trout but only managed to catch one! Went 16" in length, too small for the minimum limit but still had a great time catching him. Used a 6wt Switch Rod and a Tandem Midge and Prince Nymph Rig. Trout struck the Prince Nymph! Fished the Guadalupe River at Lazy L&L Campground in hopes of a Rainbow Trout. Saw a couple of Trout feeding on (what looked like) midges. But, could not get them to take a fishing fly. Moved downriver and started fishing the fast water by the steps. Tied on a Guadalupana (a bigger one than the one we used earlier) and started swinging it in the current. Finally had a hook up; a Rainbow Trout that went about 14" in size. Released it as it did not meet the 18" minimum for that section of the river. Long day in the cold rain fishing but still had a great time! 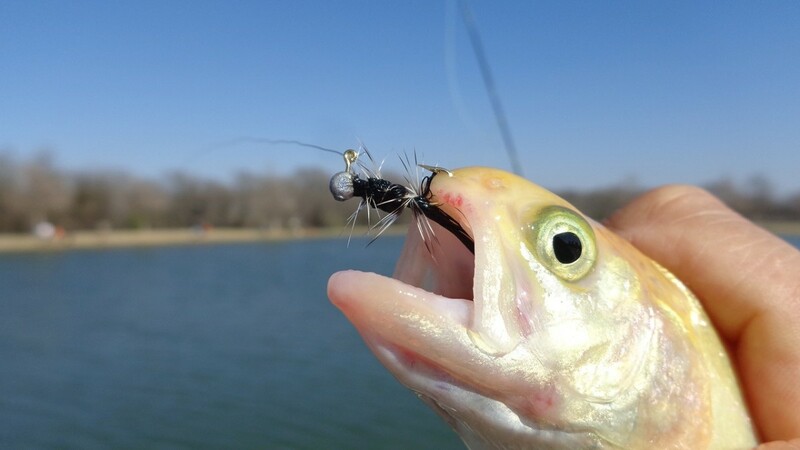 Here are suggested links to other websites about fishing the Guadalupe River! Our favorite to date is the first one listed below - Guadalupe River Trout Unlimted! "Guadalupe River Chapter of Trout Unlimited is a non-profit, conservation organization whose mission is to conserve, protect, and restore North America's trout and salmon fisheries and their watersheds for the benefit of future generations." At Gruene Outfitters, we encourage our customers to “Get Outside”! Our goal is to provide the best selection of clothing and footwear for that outdoor lifestyle and to offer our knowledge and service in any way we can to make your shopping enjoyable. 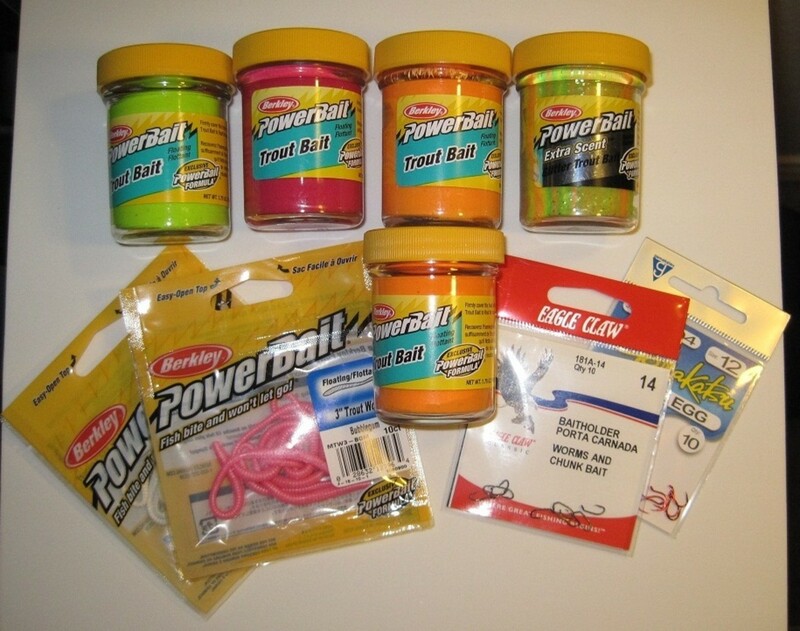 Below are links to the Power Bait products the Team uses when fishing for Rainbow Trout! This is a well written and interesting article. Your suggestions are clear. Fishermen will be able to use this information when researching the area. 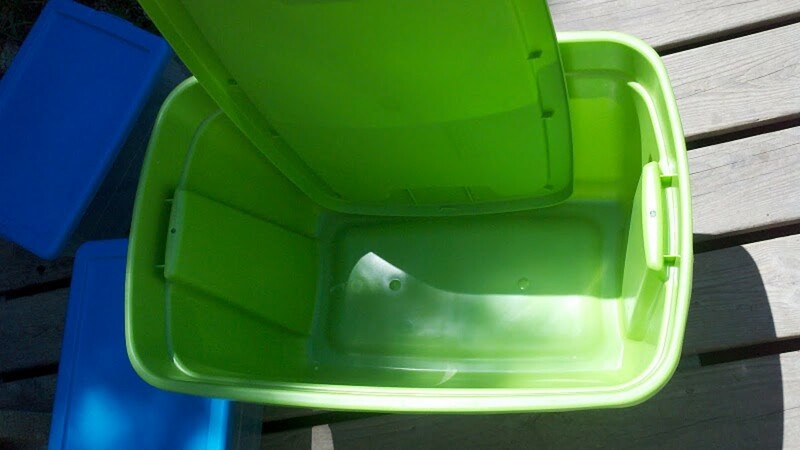 Voted up and useful. 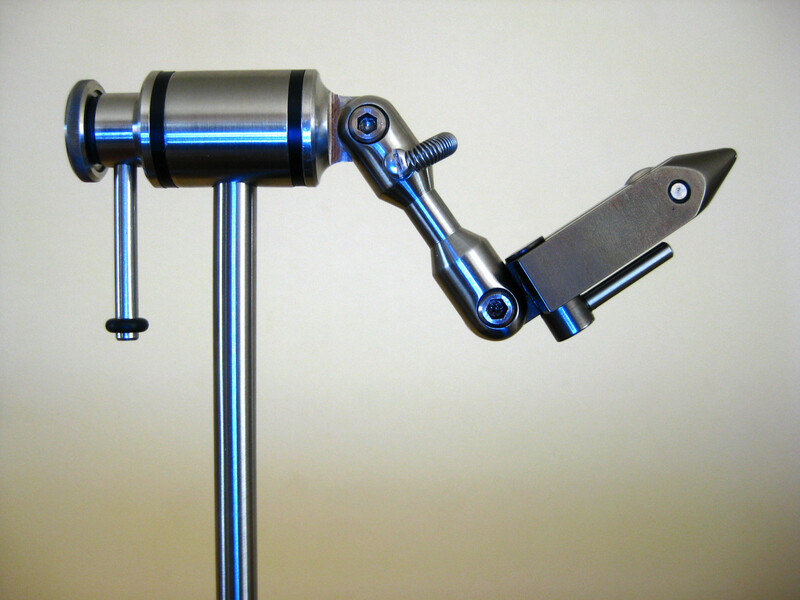 Re-published an article we first posted as a Squidoo Lens. Updated and now available to Readers!